The flu is never fun, regardless of how old you are. You have a fever, you ache, you have chills, and you can’t do anything because you’re a prisoner to your bed or couch. If it wasn’t bad enough that the flu made you feel horrible, if you’re over the age of 65, you’re at a much greater risk of flu-related complications. The deadliest one is having a heart attack. To conduct the study, the researchers looked at nearly 20,000 adult cases of influenza from 2009 to 2014. They identified 332 patients who were hospitalized for heart attack within one year before and after influenza diagnosis. Of the 332 patients, 20 had a heart attack within seven days of their flu diagnosis, with 75 percent of these patients being over the age of 65. Kwong added that 31 percent of those who experienced a heart attacked did not receive the flu shot, but cautions that these findings require very careful interpretation. 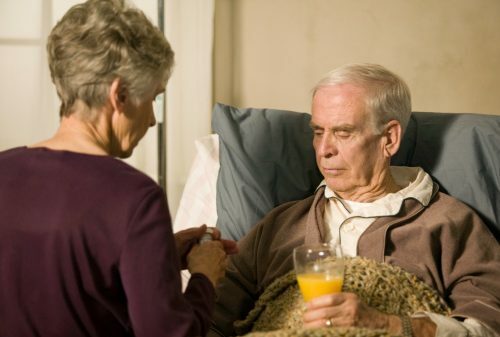 Studies have shown that the flu vaccine isn’t as strong in seniors as it is in younger people. Even still, it is recommended that seniors get vaccinated, as they are at a higher risk of flu-related complications, so it’s important that they reduce their risk of developing the flu.